YOU DON’T DO ALBUMS, DO YOU? When you order an album you can be guaranteed the best beautifully made wedding album, hand crafted in the UK with the environment in mind during its production and delivery. Below are a few examples, however different colour and finish options are available. *The prices are for an album with 15 spread pages [a spread is the double page with a seamless bind in the middle] more pages can be added at an extra cost. All albums come presented in protective cardboard presentation box - examples are seen in the images below. 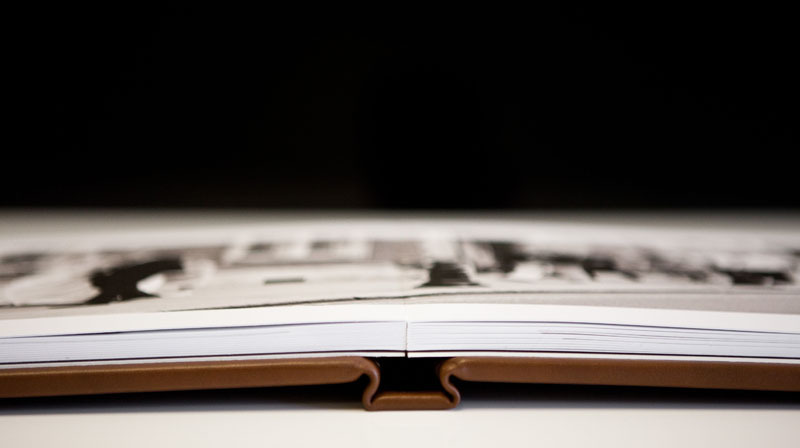 All pages printed on Beautiful Art White 200 GSM paper as standard - upgrades are available. 18 Beautiful leather cover colours are available. If you would prefer a different cover, Pastel Fabric, Bold Fabric and Essential Cotton can be used at no extra cost. Covers are personalised by adding printed text or embossed text. Folio are masters of their craft, however one of the other main reasons I use them is for their commitment to the environment!